Ransomware is one of the most dreaded cybersecurity threats and is quickly becoming the preferred method for cyber-extortionists to extract money from victims. Cybercriminals have started to use new variants of ransom virus to evade security programs. Thus, it is important for individuals and businesses to know how to defend themselves against ransomware. Symptoms of ransomware may appear obvious or discrete; knowing how to detect these serious security threats will help you fix it if infected. If you need to get rid of ransom virus on your computer, the first thing you need to do is to run a full scan of your computer using a proper antivirus program, such as Comodo Antivirus. Using a reputable Antivirus program is advised as it will have ransomware in its malware database, and can ultimately detect and remove the ransomware. When your computer restarts, press and hold the F5 key on your keyboard until you see the 'Windows Advanced Options' menu. In the 'Windows Advanced Options,' select 'Safe Mode with Networking' option. Once your computer boots into Safe Mode, download a legitimate antivirus program, such as the Comodo Free Antivirus. Start the full system scan. This will remove all entries that are detected by the antivirus program. After completing all the steps mentioned above, be sure to restore your computer operating system to a previous state (which is free of ransomware). Do not open email attachments from dubious and unknown sources. If the email is from someone you know, confirm its origin before opening it. Make sure to have good antivirus software on your computer such as Comodo Antivirus, and also make sure it is running and up-to-date. Install software patches as and when they are available. As a precautionary measure, be sure to backup your files regularly. Always use up to date security software (antivirus) equipped with specific anti-ransomware technology. 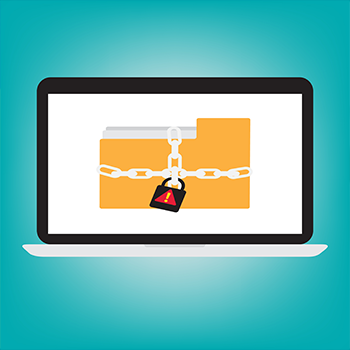 You can prevent ransomware by practicing safe computing habits and using up to date security software. For organizations, antivirus products are not a viable solution against ransomware. For large enterprises where there are multiple endpoints, Comodo Advanced Endpoint Protection (AEP) is the ideal solution. With its powerful containment engine and 'Default Deny' approach, Comodo AEP provides 360-degree protection against threats including ransomware. Comodo AEP will contain ransomware and prevent it from penetrating your organization’s local area network at the device layer and executes them in an isolated or restricted system environment.